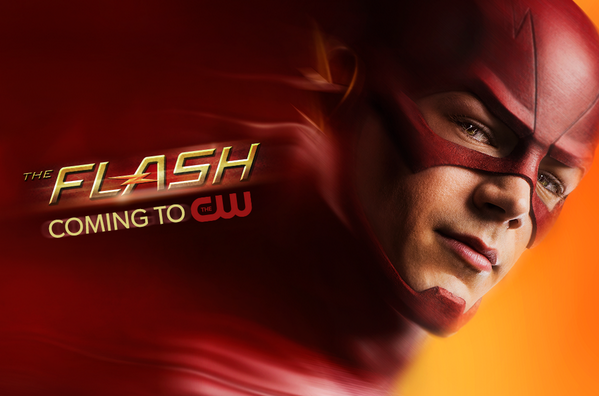 Arrow wrapped up a phenomenal second season last night and this morning we get our first look at The Flash TV show. It looks great. Anyone that saw the promotional images (or the set images/video) can take comfort in knowing that the costume looks great in action and the speed effects (so far) are beautiful. It's definitely an interesting choice to use Arrow to introduce the first Flash teaser, but it makes sense, considering this version of Barry Allen was originally introduced on Arrow. We have yet to see how tightly Arrow season 3 and The Flash season 1 tie together, but so far, The Flash has yet to stand independently. I'm sure the show and character will carry themselves, but will it live inside Arrow's universe, or will the two live inside a larger DC TV Universe. Or... will they both live in an even larger DC Cinematic Universe? Of all the Justice League rumors and announcements, The Flash and Arrow are two characters and movies that haven't been hinted at all. Arrow is a secondary member, so this can be excused, but The Flash is a founding member of Justice League. Is DC planning on including these shows in the Justice League Universe? They for sure haven't closed the door yet. The full trailer is now up as well. It looks good and we definitely get a good taste of how the show stands on its own as well as get a peek at some shared scenes with Arrow. It looks like the trailer probably covers a handful of episodes at most. I'm not sure if we'll get resolution to his mothers murder or not, but it looks like the show may be involving some time travel elements if you see the flashback and know much of the Flash's story, particularly from Flashpoint.